Lidl occupies a space in The Martlets Shopping Centre on Civic Way, 0.21 miles north-west from the centre of Burgess Hill (close to Market Place Shopping Centre and Burgess Hill Town Council). The store primarily provides service to shoppers from the districts of Bolnore Village, World's End, Hassocks, Ditchling Common, Burgess Hill Town Centre, Wivelsfield and Goddards' Green. If you'd like to swing by today (Thursday), its operating times are from 8:00 am until 9:00 pm. Here you may find the hours of opening, location description or phone info for LIDL Burgess Hill. You can visit Lidl in the vicinity of the roundabout of Church Road, Civic Way and Crescent Road, in Burgess Hill, West Sussex, at The Martlets Shopping Centre. Just a 1 minute trip from The Martlets, Crescent Way or Civic Way; a 2 minute drive from Queen Elizabeth Avenue or Station Road; or a 4 minute drive from Sussex Way and Keymer Road. The postcode for Satellite Navigation is: RH15 9NN. You may pick up a bus at Church Road and Civic Way. Available by way of routes 2, 33, 34, 35, 40, 100, 134, 135, 136, 270, 271, 272, Village Rider 167 and Village Rider 168. The closest train stop is Burgess Hill Station (1510 ft away). Transportation is constantly accessible via the Southern, Thameslink and Gatwick Express lines. In walking distance, there is Burgess Hill Golf Centre, St Wilfrid's Catholic Primary School, St John's Park, Victoria Business Park, Batchelors Farm Nature Reserve, Sidney West Recreation Ground and Oakmeeds Community College. Currently, LIDL operates 1 supermarket in Burgess Hill, West Sussex. 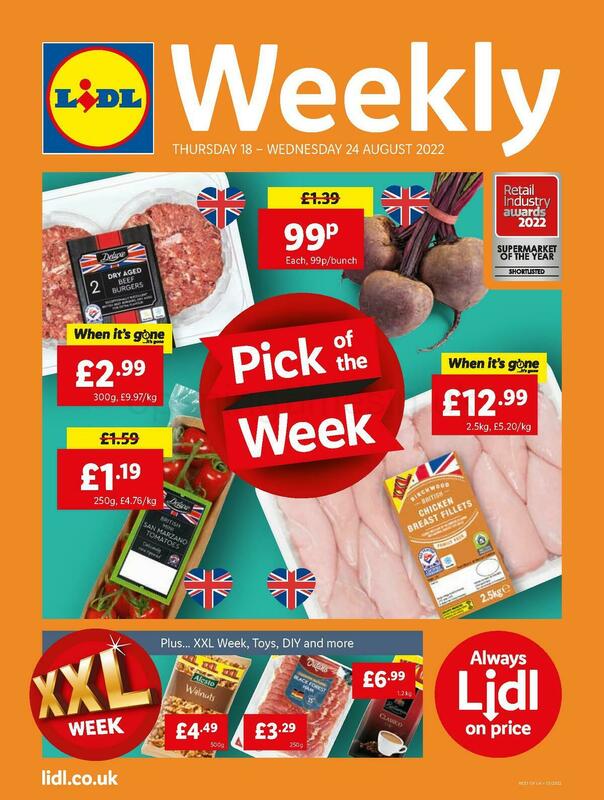 The directory of LIDL supermarkets near Burgess Hill can be looked over here. Please note: public holidays may result in revisions to the standard open hours for LIDL in Burgess Hill. Throughout 2019 these updates include Xmas, New Year's Day, Easter Monday or Summer Bank Holiday. The quickest way to get further details about holiday hours of business for LIDL Burgess Hill is to visit the official homepage, or call the contact number at 0800 977 7766. When shopping at LIDL, please be sure to take a look around the other quality stores at The Martlets Shopping Centre. At this centre you may also find more vendors, such as Argos and Iceland. It's the Opening Times in the UK team's intention to provide you with the most up-to-date information. Please make use of the report a problem form to report any errors with the location description or hours of operation for LIDL in Burgess Hill. In the form below, you can express your opinions of LIDL, or use the star scale.